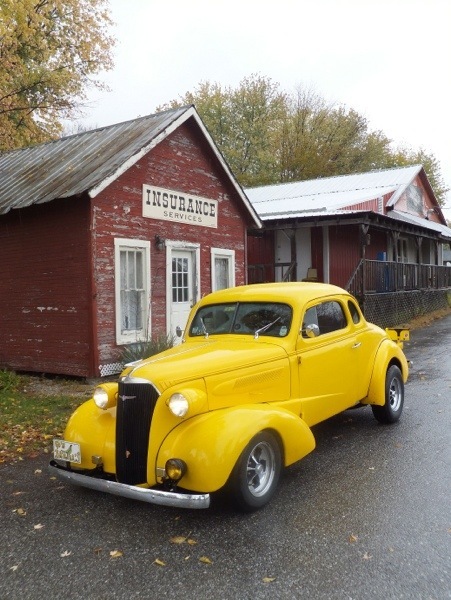 I like getting e-mails on Monday mornings, especially when they have pictures from a weekend car cruise! Here’s what I received from Mike Housand this morning. Always enjoy your pictures of your travels and seeing your cars at various places. But sometimes we always don’t to get to pick the days we get to cruise. My wife baby-sits the granddaughter, so she is busy except when our daughter, a teacher, is off. 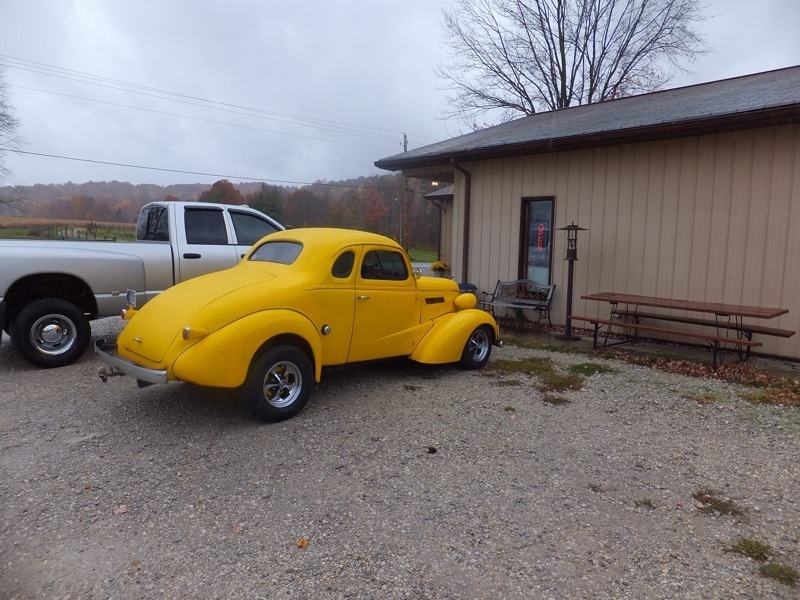 So we have been taking a road trip in the street rod at fall break. I sent you a few pictures last year when we took our trip. It was rainy and cool but we had a good time. This year the kid’s and daughter’s fall break was split up, so we took in on my Friday off. Guess what? It was cool and rainy again. But last year we didn’t get to eat at the restaurant where we wanted to eat lunch. It was only open Friday, Saturday, and Sunday. 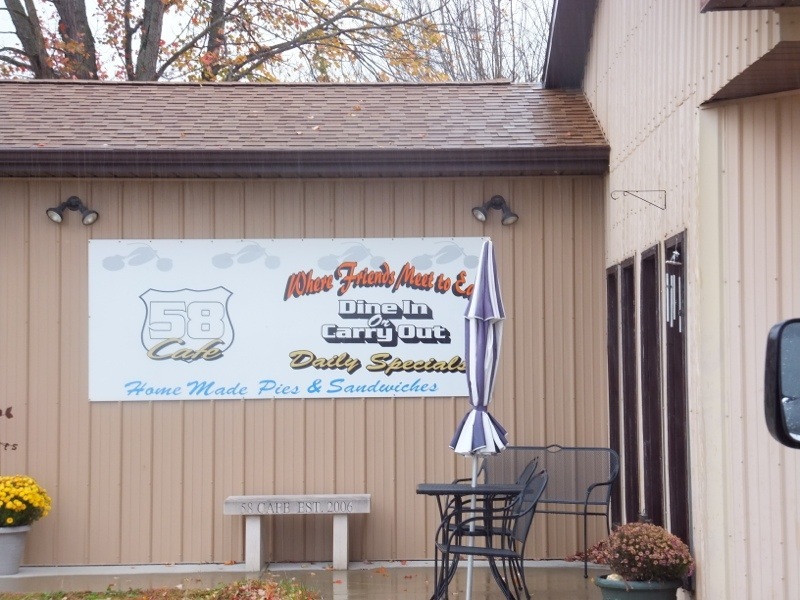 It is a motorcycle themed small place on Highway 58 called Cafe 58. The Highway is a windy and curvy road across Southern Indiana. The ’37 has wipers and a heater, so off we go. This picture is on the way back near the forestry. As we started, we stopped in Nashville, IN, to shop a little. 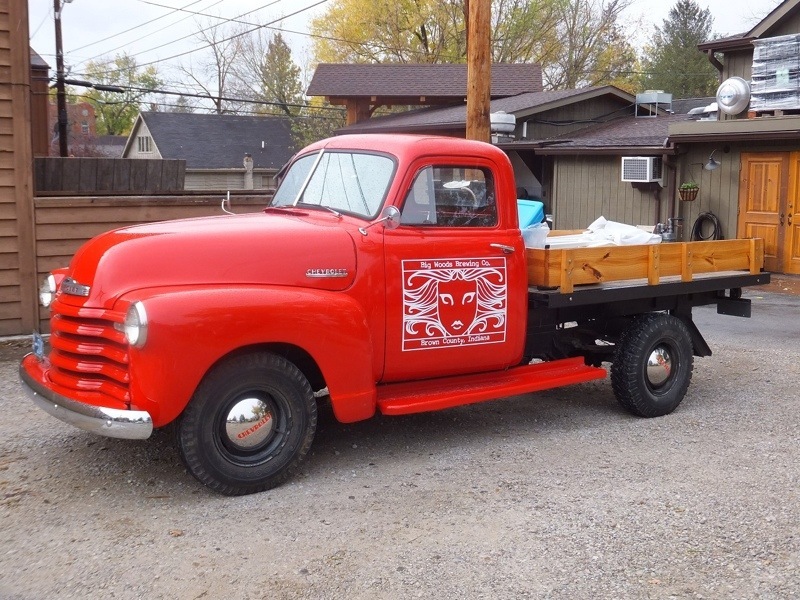 Spotted this truck. Thought you might like it. Owner said it was still 6 cyl, 4-speed, and 6 volt. At Big Woods Brewery (good eats too). This was at the restaurant at Kurtz, IN. Very good food. We plan to go back. Of course in the rain, we didn’t have to dodge any motorcycles. Here are a couple of photo-ops (not near as cool as yours!). Of course there was road construction on the way down. No detour signs, so we wandered for awhile. Then we got into more road construction at Bloomington, IN. Then we stopped at a little orchard and got some apples (expensive!!). 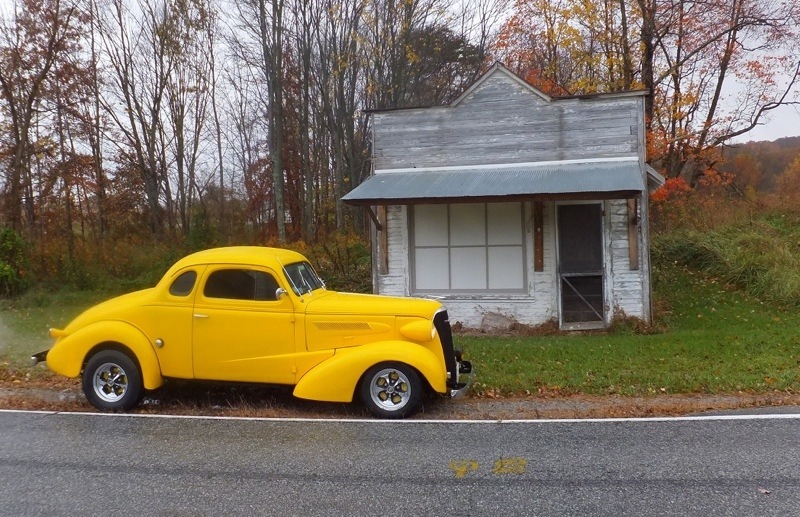 We traveled 131 miles and spent a day in the ’37. And had good food. It was a good day. I just wanted to share. You don’t have to post on your site. Like I could resist not sharing! Thanks, Mike. The FUN is on the RUN!! !